Today is Earth Day and there are certainly many concerns your children may have heard about regarding global climate change. If you'd like help answering their challenging questions, check out the question/answer section of the recently released draft of the National Climate Assessment report. How can we predict what climate will be like in 100 years if we can’t even predict the weather next week? Is the climate changing? How do we know? Climate is always changing. How is recent change different than in the past? Is the global temperature still increasing? 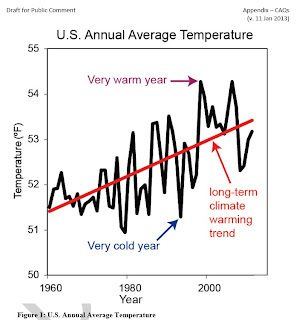 Isn’t there recent evidence that it is actually cooling? Is it getting warmer at the same rate everywhere? Are these trends likely to continue? The scientific answers to these questions are accompanied by charts and graphs. These complex ideas are explained in an understandable way.